You've probably heard some buzz about essential oils. In fact, you've probably heard some of that buzz from me, right here. I gave up my skeptical ways back in September, and I've never looked back. These little bottles and the DIY products you can make with them have been life changing for my family and I. 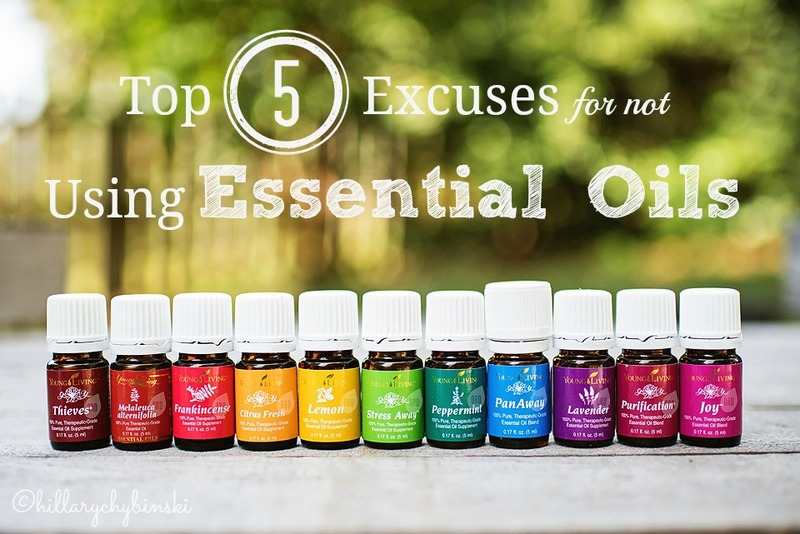 So I'm going to bust your top 5 excuses for not giving essential oils a try. They Don't Work - Thousands of people would argue with this one. There are thousands of Young Living members around the world. The company has been in business for 20 years. I'm here to tell you that they do in fact, work. Sometimes it takes a little research and a little trial and error. Sometimes you may not see the changes you want to see as quickly as you had hoped. But those things are true for anything, we're not talking miracles - we're talking health. They Are Too Expensive - Good health comes with a price. And the "start up" costs may seem large, but as I build my oil collection, I am not buying other things. The Thieves Cleaner for instance, takes the place of multiple cleaners that I no longer need to buy. I Don't Have Time to Figure Out How to Use Them - There is a slight learning curve to using essential oils. But there are reference guides apps and Facebook groups to help you figure it all out. If you choose to sign up with me, I will gift you a 400+ page Reference Guide of your own, and add you to our Oily Family Facebook Groups. 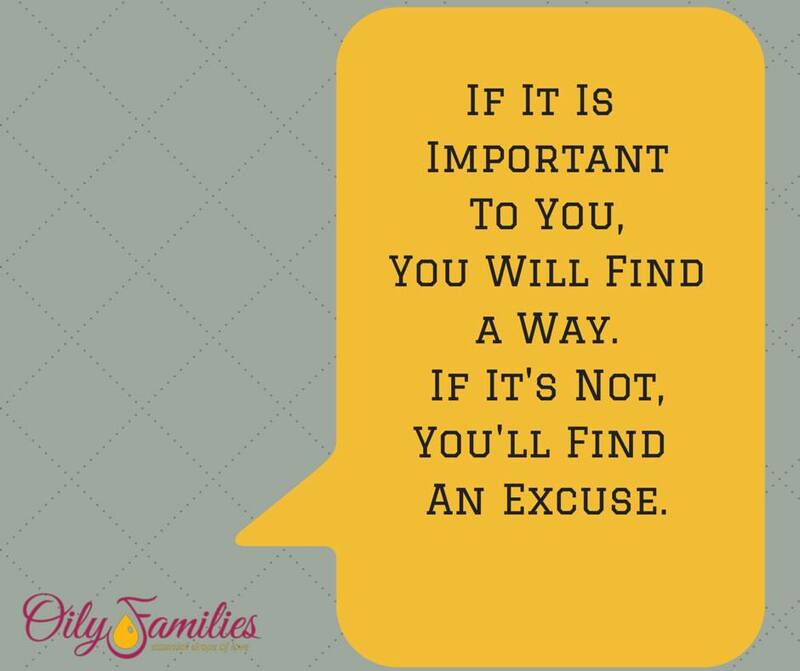 Plus, with Young Living, someone is always there to help you. Young Living is Just Like Any Other Oil - It just isn't true. Before I signed on, I did some research. Young Living has been around for 20 years. They own their own farms, and practice this amazing thing called Seed to Seal. In fact, as a member, I just got invited to participate in the Lavender Harvest in Idaho - how cool is THAT?? 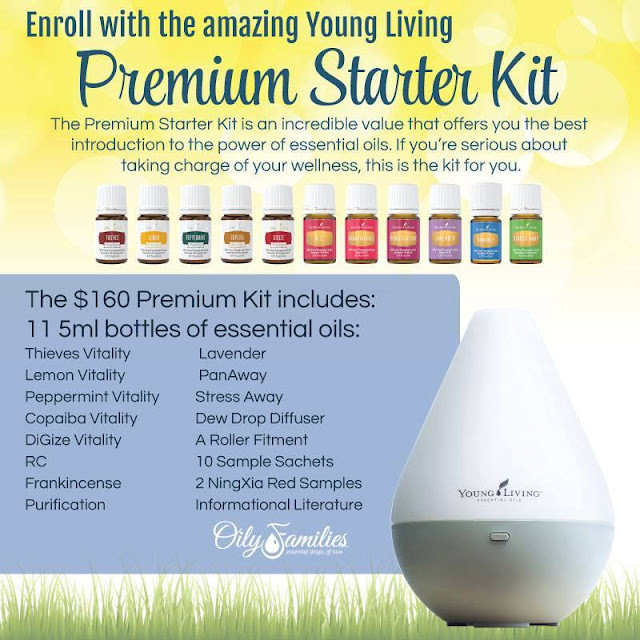 Young Living believes in quality and purity, in fact Gary Young is committed to providing pure powerful products for every family and lifestyle. It's a Pyramid Scheme - Here's the deal. Young Living is set up as a Network Marketing Company. That means, instead of advertising, they allow their Wholesale Members to make money from sharing their own experiences with family, friends and the world. People ask if I "sell oils". No I don't. 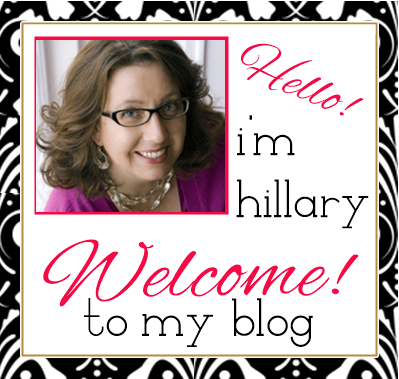 I don't keep inventory to sell to people - I help them sign up if they're interested. Yes, I receive a check each month because other people have signed up through me. Young Living is very open about their compensation plan. There is NO PRESSURE to buy another thing or sell anything - ever. This has been the most shocking thing for me. 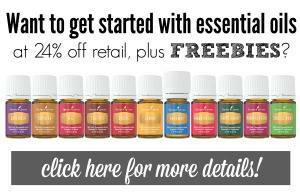 They don't send you a business kit or anything of the sort - if you are interested in building your own business, that's awesome and Young Living makes it easy for you to get started. So it's okay to be a skeptic . . .I was in your shoes. I took a leap of faith and it's been life changing. If you're still skeptical - let's talk! As you can see, there's really no excuse. Now's the time to make this simple change to your healthy lifestyle. To sign up as a wholesale member, simply click here. Please remember that Essential Oils are not regulated by the FDA, and any information in this post is not meant to treat, diagnose, cure or prevent any illness. So true Hillary! After a year of using the oils, I threw out a LAUNDRY BASKET'S WORTH of medicine, cleaners and beauty products I no longer need. Talk abut simplifying! These oils do so much more than I ever knew! I love Young Living. I finally became a distributor yesterday. I love your post.